“Commitment means staying loyal to what you said you were going to do, long after the mood you said it in has left you.” I’m not sure who to attribute those words to, and I’m pretty sure they weren’t first said in relation to marathon running, but those words stuck with me during my Edinburgh marathon training at the start of this year. There were mornings when my alarm would sound at 5:45am, and I’d want to sob with tiredness. But I’d get up, put on my 5 layers of clothes, and go out and battle the cold to complete my session. Some of them were boring, some were tough, some hurt, some were easy. I ran more miles than I’d ever run before. From the start of January to the end of May I was constantly knackered, but I was also the fittest I’ve ever been. Even when I desperately wanted to stay in bed instead of run, or when I wanted to down a bottle of wine and pass out rather than do weights at the gym, I pushed myself to get it done. I had a goal in mind. 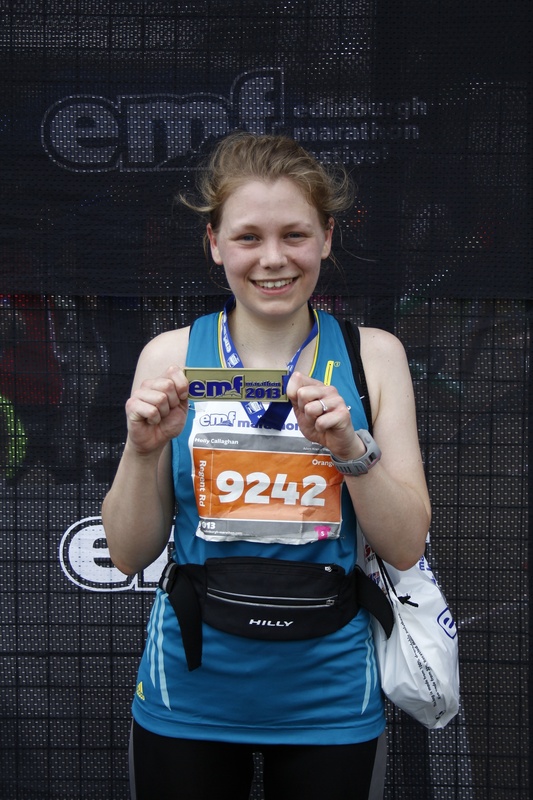 I wanted a PB at Edinburgh, and the only way I could get it would be through consistent training and hard work. My hard work paid off, and I took over half an hour off my marathon time. The last three miles were pure hell, with my body screaming at me to stop. But just like during my training, I refused to give up. And it was so worth it. I never regretted a run. I did, however, regret a few things that went along with marathon training. I regretted missing out on nights out with friends. I regretted snapping at my boyfriend because I was so exhausted. I regretted being under-prepared in meetings at work because I’d favoured stretching over homework. I began training for the Yorkshire marathon 4 weeks ago, after 5 weeks of easy running, relaxation, eating, drinking, and catching up with friends. I was ticking off the miles, running 5 times a week, but my heart wasn’t in it like it was with Edinburgh training. I assumed that the motivation would come, but one of the main issues I was having was that I wasn’t sure what my goal was. The obvious answer is “sub-4 hours”. Now, I’m not the fastest runner, and this doesn’t come easily to me. But although I’m not one suffer from self-doubt, I really doubted my ability to go sub-4. That’s not to say that I don’t think I’m capable of it, rather I don’t think I’m capable of it right now. I know that I need to work on shorter distances and speedwork in order to run a faster marathon, I need more experience of racing and effective training. Last week I got up at 6am so I could go and run 5 miles with 4x800m intervals. I had a piece of toast and a cup of tea, and started to put on my kit. Then something inside my brain snapped. I didn’t want to run. So I did something I’ve never done before. I took off my kit and went back to bed. So, as things stand at the moment, I’m not planning on running another marathon this year. I want to enjoy running, not have it as a chore, something hanging over my head, or another thing to tick off the ‘to do’ list. Running is my escape from real life, my “me-time”. I feel stupid for not realising that this might happen, especially after dropping down from the Preston marathon post-VLM last year. This year, however, the problem is with my mojo, not my legs. 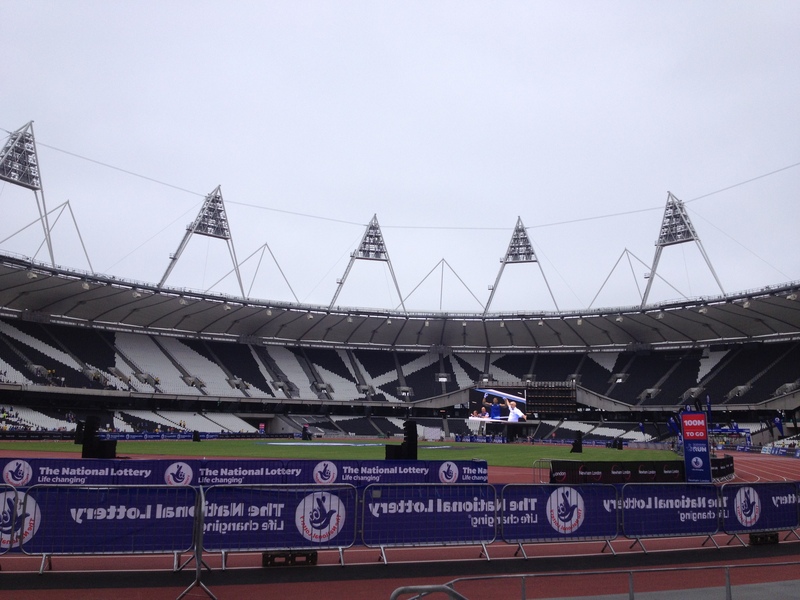 Running on an Olympic track isn’t an opportunity that presents itself every day, so when I was given the chance to do so, in the form of the National Lottery Anniversary 5 mile run, I jumped at the chance. I had a fantastic time during the Olympics and Paralympics last year, so I was extremely excited for my first trip back to the Queen Elizabeth Olympic Park. We arrived at the park nice and early, me giddy with excitement, my boyfriend a bit peeved that he’d had to get up so early. We chilled out in the stadium, listening to the warm up and reminiscing about the games, before I made my way over for the start at 10am. I had planned to run this race ‘for fun’, so I didn’t wear my watch and I wasn’t going for a time. I just wanted to run it comfortably and have a great time. Just before the start there was a mass warm up, which I joined in with feeling a bit stupid, then some words from Paula Radcliffe, Chris Hoy and others – inspiring stuff. We headed away from the stadium and around the Velodrome for the first mile, before heading for the Copper Box and back towards the stadium. Apart from the obvious sights of the stadium and the Orbit, the route around the park was pretty uninspiring due to the fact that it’s still largely a building site. There was no real support on the route, as no one was allowed to be there, just a few bemused looking builders. It was a warm but cloudy day, very humid, so a shower at mile 3 was most welcome! There were a few sets of drummers on the course (I love running to drums! ), but on the whole the route was pretty quiet. In the last mile of the race we headed around the stadium, before entering the tunnels, where the organisers had set up some speakers playing Chariots of Fire alongside race commentary and the sounds of crowds cheering. In the echoey tunnel it really gave you goosebumps and I had a huge grin on my face. After getting thoroughly hyped up in the tunnels we finally turned into the stadium for our last 300m on the track. The stadium was full of spectators making a lot of noise, cheering for their runners. I spotted my boyfriend in the stands and gave him a big wave, before turning onto the final straight and sprinting for the finish, waving my hands over my head and doing the Mobot like a nutcase. After collecting my goodybag and medal I met up with my boyfriend and headed off for pancakes, before returning home for a nap. The perfect Sunday! My chip time in the end was 43:12, and although I didn’t really care about the pace I was quite pleased that I managed this time while feeling very comfortable throughout. 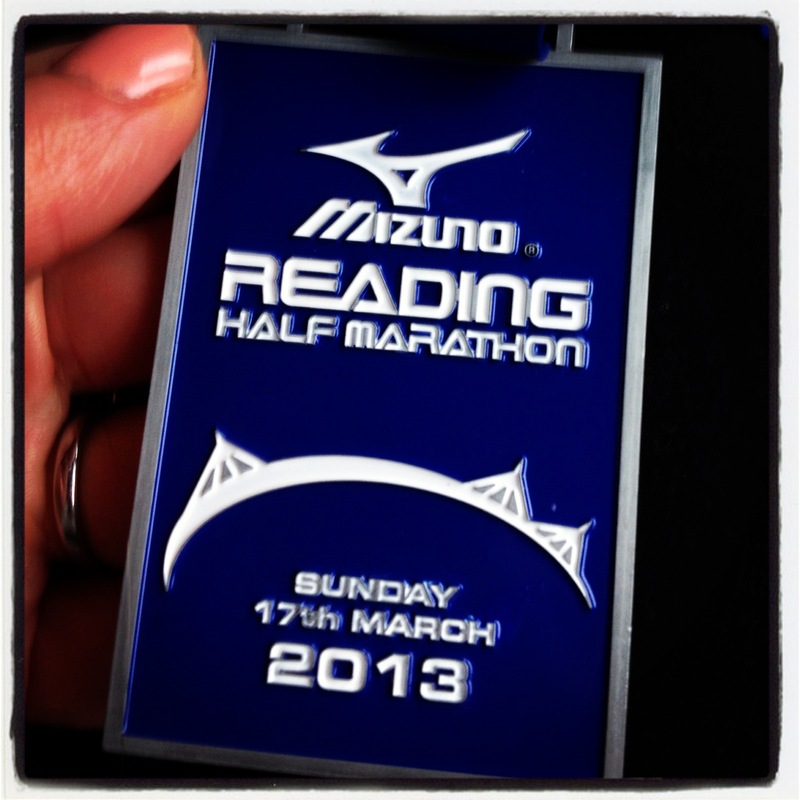 All in all, a brilliant and very different race, which reminded me of why I love running so much. Unfortunately, my current marathon training enthusiasm is at an all time low, but that’s another post for another time. They say “you’ll never regret a run you do, only a run you don’t do”, but I’d like to disagree. There are more that a couple of runs that I have regretted during my time. I’m sure any runner will have had a similar experience. You’re a bit tired, or a bit achey, or harbouring a niggle or a twinge. You go out, just to test it. You tell yourself you’ll stop whenever you feel sore, or you’ll walk parts. But, inevitably, you drag yourself out, grimacing and stubborn, for a run you really shouldn’t be doing. After the Edinburgh Marathon I gave myself 5 days off before I hit the road again for a slow 4 miler. Although the aching had faded, my legs were incredibly tired. It felt good to be out though, and I ended up doing a couple more runs in the following days. “I’m back!” I told myself. But at 7pm on Tuesday evening I found myself in the middle of one of those runs I knew I’d regret. My left hamstring felt like it was being stabbed, and my hip felt like it was clicking in and out with each step. I was hot and bothered, pissed off that I’d been training solidly for 20 weeks only to feel incredibly unfit and obliterated after the marathon. Instead of celebrating my achievement – knocking 31 minutes and 10 seconds off my marathon PB – I was beating myself up for struggling to run again. Over (a bit too much) wine later that evening, I gave myself a good talking to, and decided I needed to chill out. Because, let’s face it, if you can’t celebrate and relax after running a marathon… when can you?! I’ve had almost a week off running now, and I’m beginning to feel human again. I’m eating and drinking a bit too much, but I’m resting well and my legs are feeling good for it. I may head out for a slow couple of miles next week, but I won’t force it. Training for the Yorkshire Marathon doesn’t kick off until the start of July, and although I’m going to train for sub-4 hours, I won’t beat myself up too much if it doesn’t go to plan. Sometimes you’ve just got to cut yourself some slack! 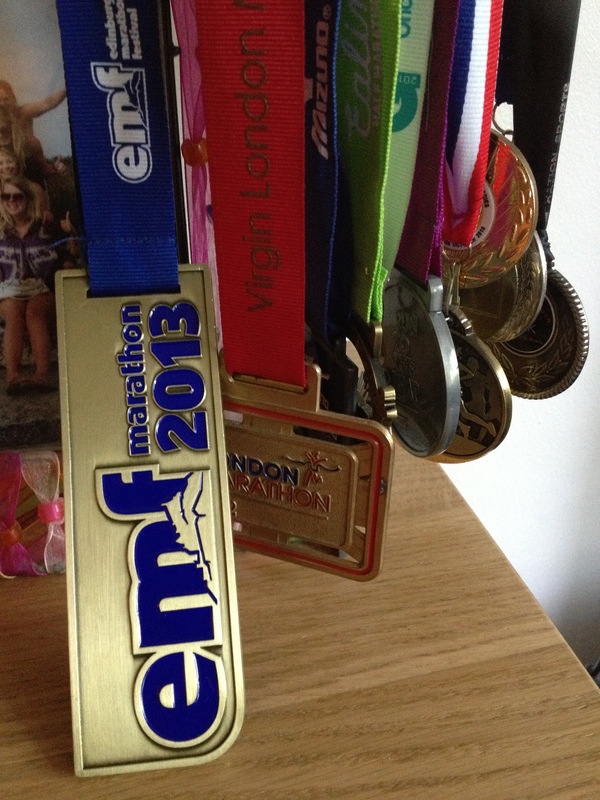 When preparing for my first marathon in London last year I had three main aims. Firstly, to finish with a time beginning with 4. Secondly, to enjoy it. And thirdly, to run every step. 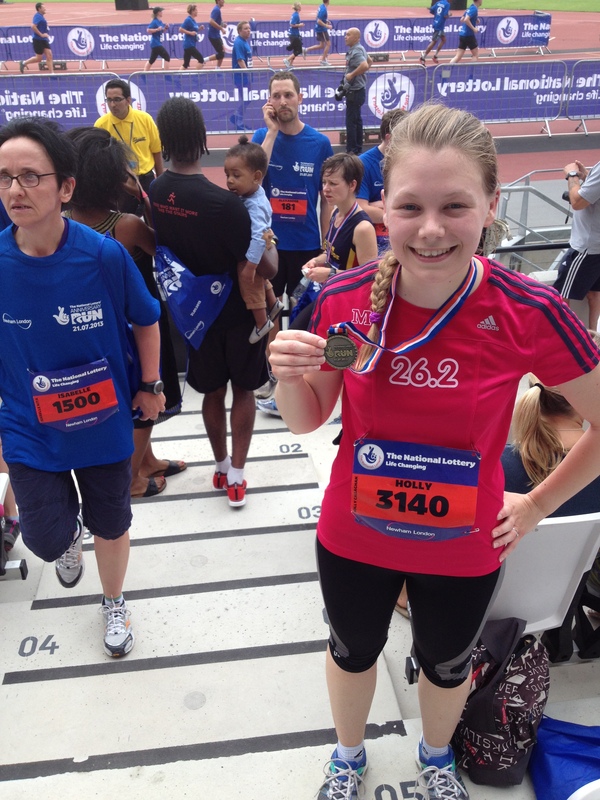 I achieved all three, finishing in 4:44:37, despite a very injury-ridden and interrupted buildup. Training for the Edinburgh Marathon this year had gone perfectly. 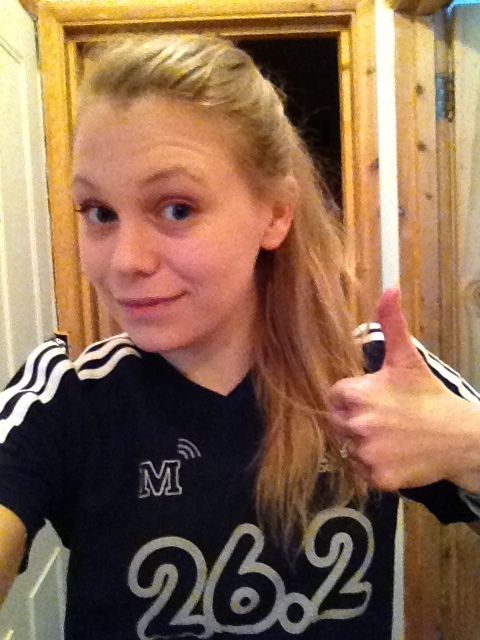 No injuries, no illness (except for a bout of tonsillitis in week one) – I was feeling stronger that ever before. So strong, in fact, that I flirted with the idea of aiming for a sub-4 hour finish. In the end I decided to stick to my original plan of going for sub-4:14:37, and taking half an hour off my PB. 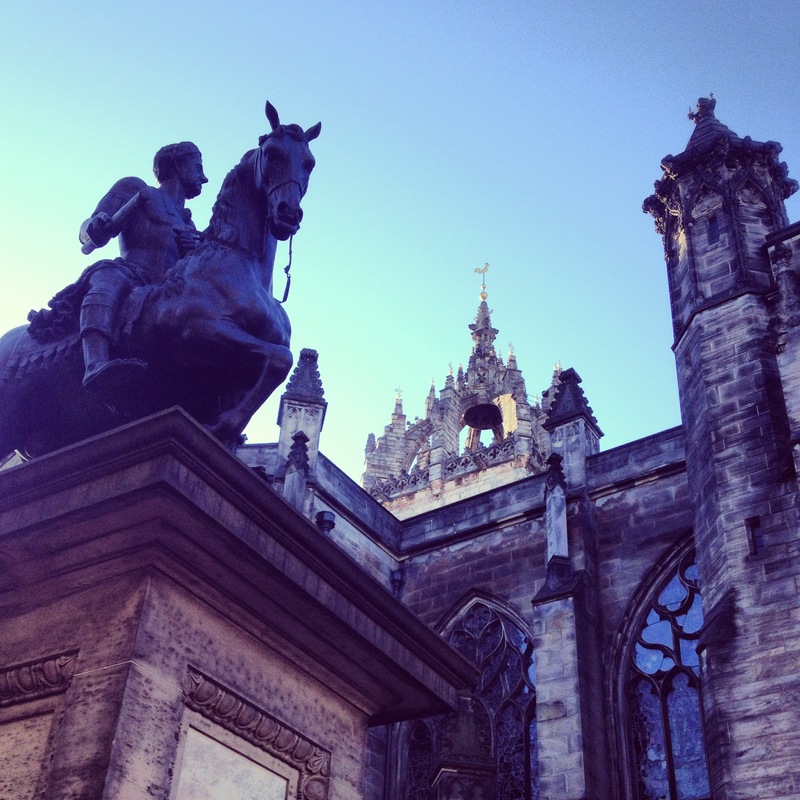 My boyfriend and I headed to Edinburgh on Friday, as we’d decided to make a little mini-break of it. It turns out that once we’re out of London we are susceptible to the same tourist traps as everyone else, and we ended up doing not one, but two ghost walks. My main concern pre-marathon was my stomach. My delicate digestive system doesn’t take too kindly to eating at restaurants followed by long distance running, and the last thing I wanted was to make an emergency toilet stop halfway through the race. I tried to eat carb-rich, bland foods, and not massive portions. Sunday morning came around quickly, and before I knew it I was at the Regent Road start. 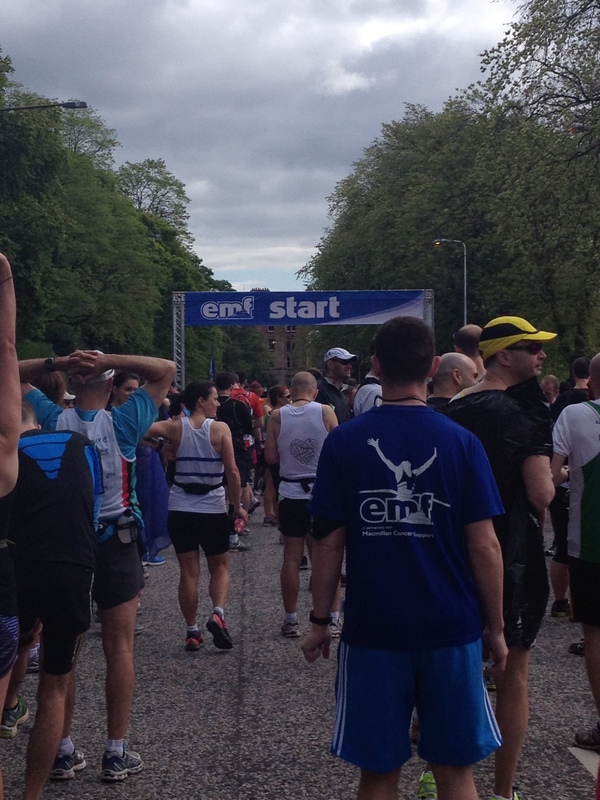 The Edinburgh marathon has a duel start system. The speedy runners start at London Road, whereas the “slower” runners begin at Regent Road (just for the record – I don’t think a 4 hour marathon is in any way slow!) I was in the front pen at Regent Road, metres from the start, which was very different from my experience in the London marathon, where I was right at the back with the rhinos and blokes with fridges on their backs. I always find the start of a race quite anti-climatic, although this is no bad thing. The last thing I wanted to do was to get too emotional at the start, which is pretty easy to do! I settled easily into the 9:30 pace, blocking out the runners passing me, confident I would be strong enough to pass them later on. The first couple of miles took us in to Holyrood Park and past Arthur’s Seat, where the crowd support was strong. At mile 3 I found my boyfriend. I felt strong and comfortable, and I was really enjoying the un-congested, relaxed feel of the race. The race took us out of Edinburgh and to the coast, which was looking gorgeous. The sun came out at around mile 5, and I enjoyed the scenic route, happily plodding along. We ran past some drummers. There’s nothing I love more than running to the beat of a drum. I vowed that I would research races where the route is lined by drummers. Then I vowed that if there was no such thing, I would set one up. I felt good. With the benefit of hindsight, I would say I was extremely cocky during the first 10 miles of the race. My pace per mile repeatedly snuck down, only by a few seconds, but enough to make me feel like I should re-adjust my goals and go for a quicker time. Luckily, the sensible part of my brain took over, and I told my legs to slow it down – if I still felt good at 20 miles I could push the pace. Miles 14 to 18 were a long stretch to the turn-around point which would allow us to head home. I enjoyed seeing the speedier runners coming back, but this stretch was tough. The sun had come out, the crowd support was sporadic, and I had no idea how far we had to go until we could turn back. I held on to the 9:30 pace, but it didn’t feel easy. I tried to employ the tactics that I’d used in my first marathon. I told myself I wasn’t allowed to get tired until mile 22, because I’d completed 22 miles in training. I thought about my post-marathon curry. I thought back to training runs where I had felt strong. But it wasn’t really helping. Finally, around mile 18, we turned back. The home straight! But all I could think about was how far there was to go. It felt insurmountable. My pace began to drop. I’d been taking energy gels every 5 miles, but I knew I needed more fuel, so I allowed myself to eat again, earlier than planned. After the turning point we headed into a wooded area, which provided some much-needed shade from the relentless sun, but the road was uneven, lots of small stones – not the most comfortable surface to run on. I told myself that I was allowed to slow down, but I MUST NOT walk. I told myself it was only 6 miles. Just a morning run. 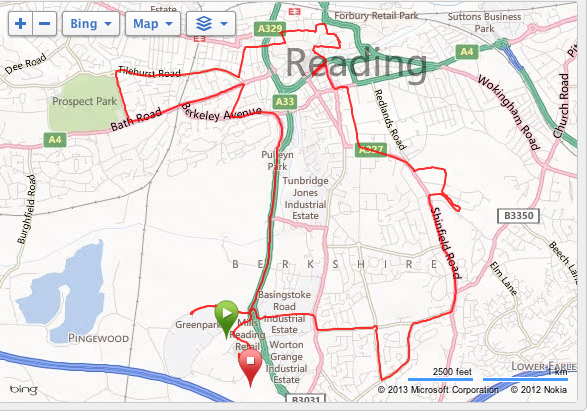 I visualised my normal 6 mile run back at home. I’d never “hit the wall” before. Of course I’ve read lots about it, but I always assumed, being pretty good at pacing, it wouldn’t happen to me. How wrong I was. I’ve never felt so awful in my entire life. I couldn’t pinpoint what was wrong. Everything felt so bad. A man running next to me started moaning loudly. He sounded like how I felt, but I didn’t have the energy to make sounds. I was desperate to keep the pace under 10 minute miles, which I managed until mile 23. The ground felt so uneven. My head was wobbling around, I couldn’t keep it straight. My eyes kept closing. My shoulders were slumping. I was shoving jelly beans into my mouth, desperate for them to give me even a tiny bit of energy. My pace was slowing and slowing. I was shuffling at best. For a while I followed a man called Ian, who was wearing fairy wings and a tutu. I told myself to keep him in sight, but by mile 24 he’d got away from me. The only thing that kept me running was knowing how pissed off I’d be with myself if I walked. I thought about all those early morning runs in the wind, rain and snow. I owed it to myself to keep running. I’d worked hard for this. The last few miles seemed to go on forever. 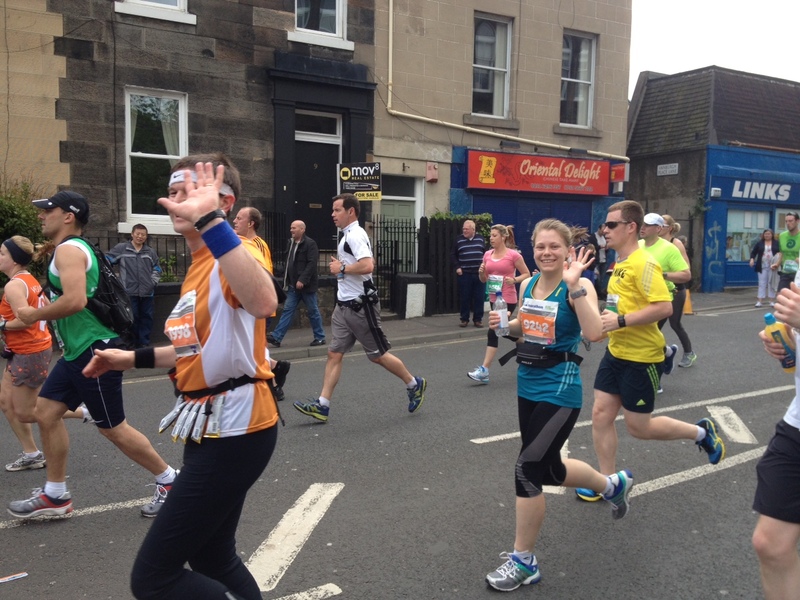 A man in the crowd shouted “only half a mile to go”, which made me feel awful – half a mile is so far! I finally turned a corner and saw the finish line. I’ve never seen anything so beautiful in my entire life! I raised my hands over my head, crying with agony and relief, and finished my second marathon in 4 hours, 13 minutes and 27 seconds. It was so difficult to keep moving over the line. Everything hurt! I immediately knew I’d made the right decision to keep on running. If I’d stopped, even for a second, I would have never started again. 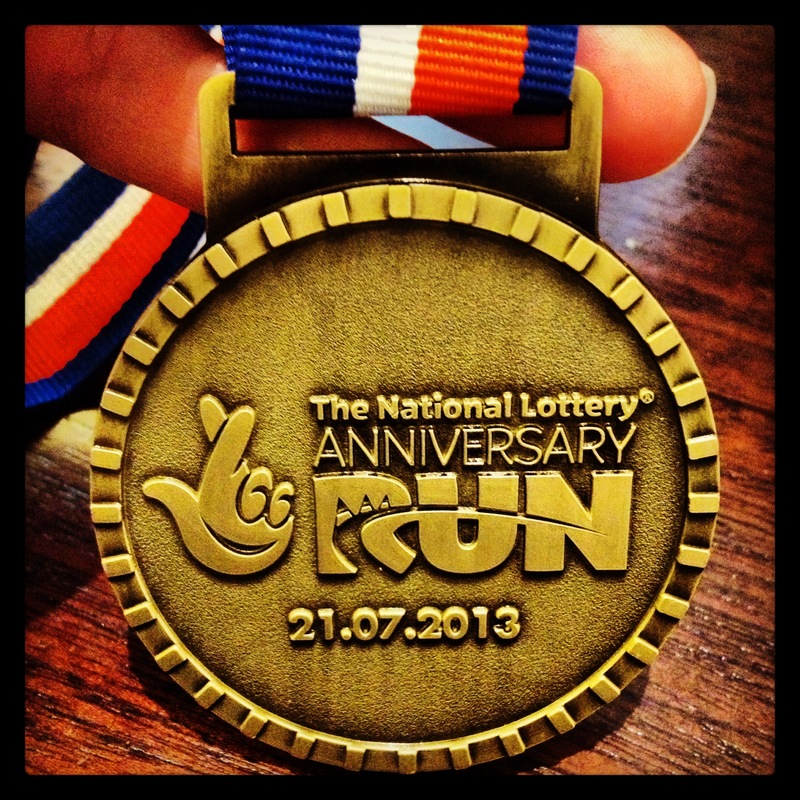 I gratefully received my massive medal, and hobbled off to meet my boyfriend. Later that night I set another PB in curry eating. 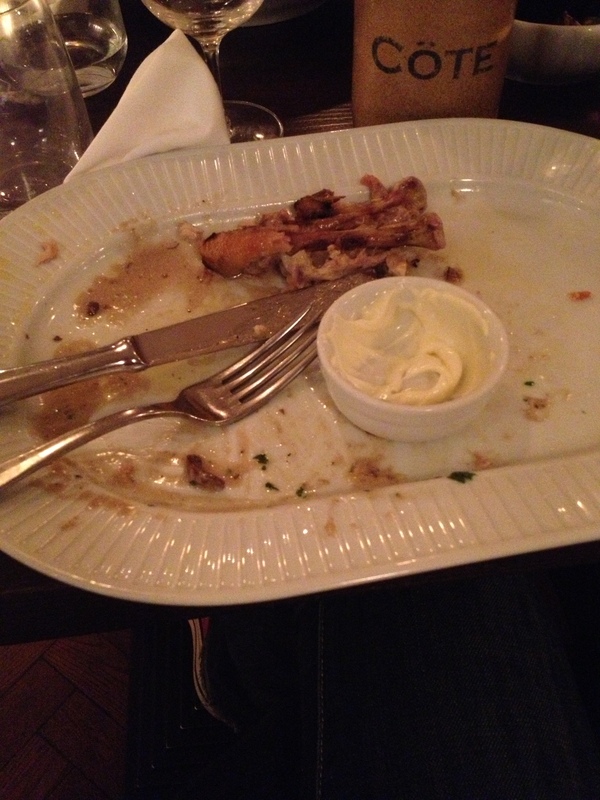 I was (still am) ravenous! I definitely think insufficient pre-marathon eating was part of the reason I bonked so badly. My muscles are desperate for glycogen! I’d taken 31 minutes 1o seconds off my PB. During the race, the words “never, ever, ever again” had echoed around my head. But that won’t stick. I’ve already got a place in my next marathon in Yorkshire in October. I was hoping to dip under 4 hours in that one. I’ve no idea how I’ll manage that! Answers on a postcard, please…! The gigantic EMF medal eclipses the rest of my bling! This week I have run 45.03 miles. That’s 7 hours, 1 minute and 28 seconds of running, not to mention a couple of hours of stretching, foam rolling and weights. Yes, you guessed it – marathon training peak week is complete! Edinburgh marathon is on the 26th May. That’s 5 weeks after the London marathon and 4 weeks after Manchester… I feel like a student who’s still studying for finals when all of her friends have finished and are out on the piss. My Twitter timeline is full of marathon photos, results and post-race revelry. I’m still diligently training, ticking off the sessions and heading to bed at 9pm every night. But now I’m giddy with the excitement of my taper. 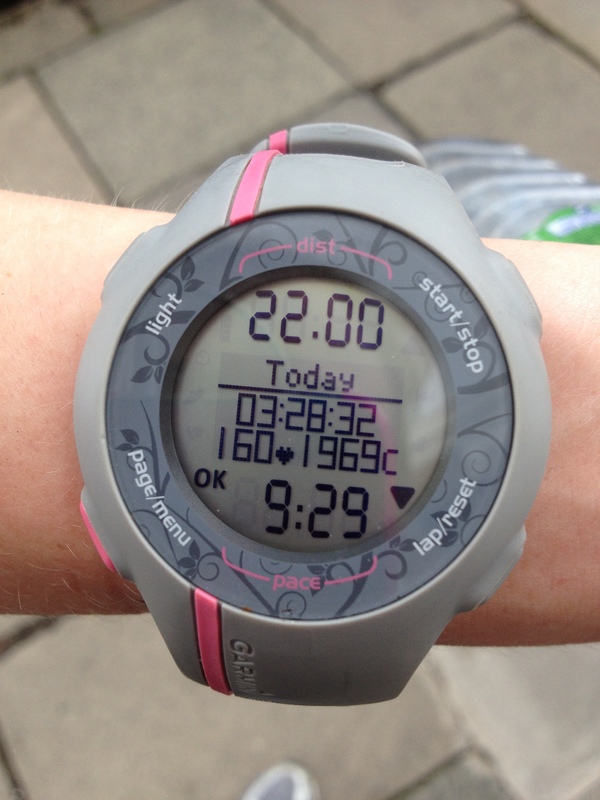 Yesterday I ran 22 miles, my longest training run. I wasn’t planning on doing a 22 miler this year, mainly because I did one last year and it wrecked me for a couple of weeks afterwards. All the aches and pains I’d been carrying were amplified after 3 hours and 48 minutes on my feet. This year, however, I’ve been niggle-free and my legs have been feeling much stronger, so I decided to head out with the intention of 3 and a half hours running. The run itself was uneventful – just what you want from a long run. I ended up doing 5 loops of Hyde Park – extremely boring, but plenty of toilets and water fountains. I felt pretty good until about 17 miles, when the little voice telling me to stop and lie down started to yell. The last 1.5 miles of my run took me along Kensington High Street. At midday on a Saturday the street is packed. Dodging shoppers and tourists is difficult at the best of times, but 20 miles into a 22 mile run it’s just plain dangerous and requires every single bit of brain power you can possibly muster. I managed 22 miles in 3:28:32, an average 9:29 minutes per mile. By the time I pulled up at my front door I was aching intensely. My boyfriend asked me if I felt like I could have kept going for another 4 miles, and I replied “only with a gun to my head”. I spent the rest of the day rehydrating with wine and cocktails – a foolish move which saw me waking up at 4am desperately thirsty. I managed about 2 hours sleep in total, my achy legs weren’t going to let me get any rest. The day after last years 22 mile run I could barely walk. Today I am remarkably un-achy. Very tired, but my legs are feeling pretty good. 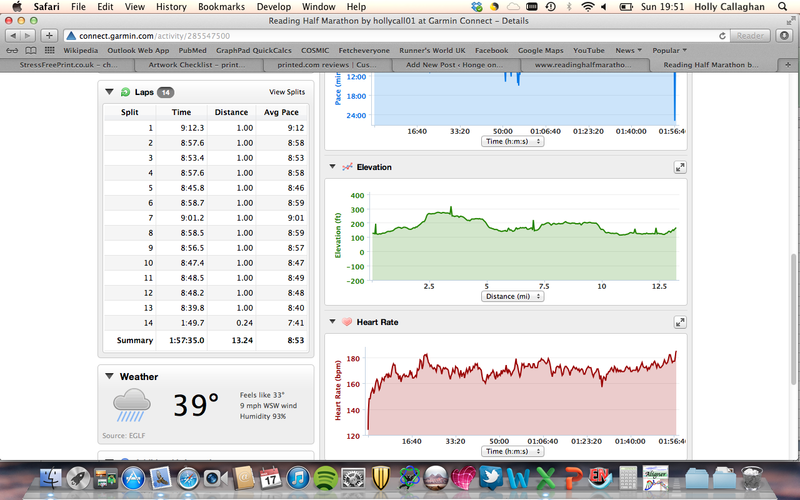 I went for a very slow recovery run this morning, which seems to have helped loosen everything up a bit. Now for the taper! Just 3 weeks until the Edinburgh marathon and I cannot wait. After much deliberation I’m not going to attempt sub-4 hours this time, but I’m pretty confident that I should be able to take a good chunk off my current PB. 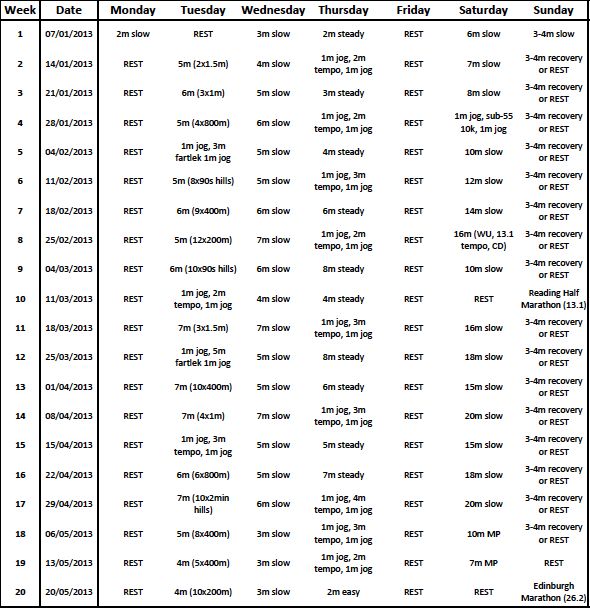 Marathon goal reassessment: a good idea, or just plain stupid? 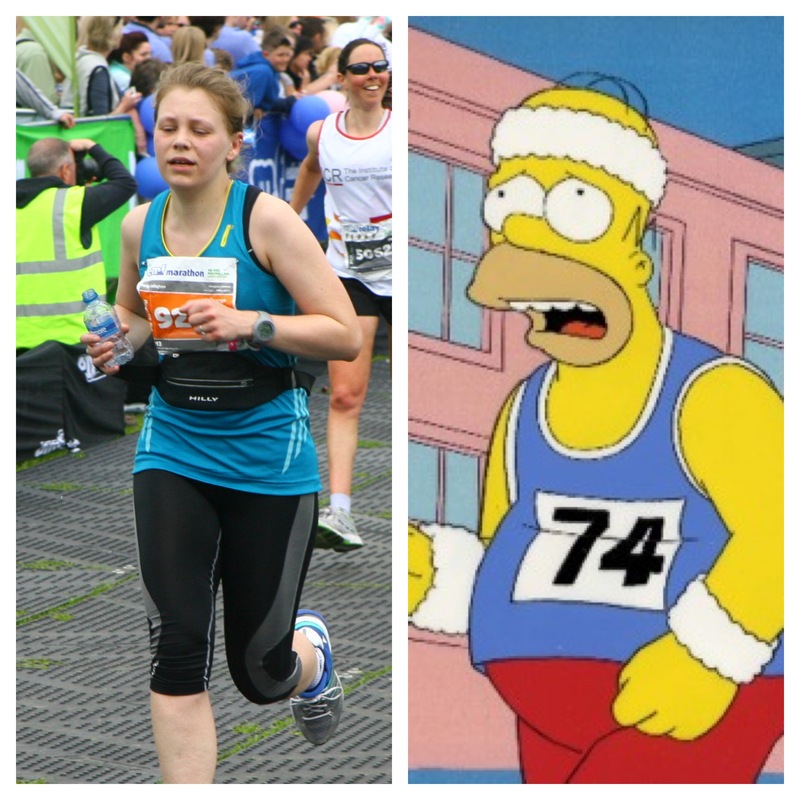 I’m currently in week 14 of Edinburgh Marathon training, and everything is going… well. No injuries, no illness, my training is consistent, I’m feeling good. I’ve hit 18 miles in my long run, and this weekend I will head out for 20 miles. However, there’s part of me that’s wondering if I could hit that illusive 4 hour barrier. 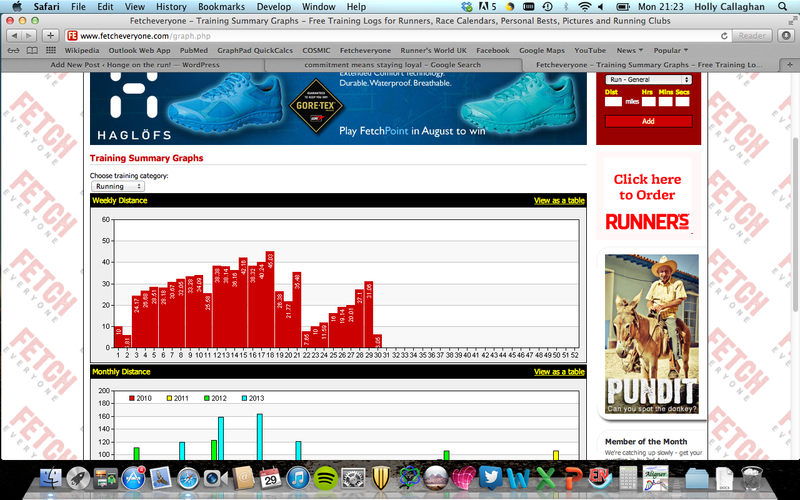 My half marathon PB of 1:54:18 indicates that it is possible, but not too easily achievable. Help me! Is it sensible to re-assess your goals so far into a training plan? Should I stick with my original plan? Or do I go for it, running the risk of blowing up 20 miles in to the race? And if I do decide to go for a 4 hour marathon, how does my training need to change between now and then?! I’ve finally got the feeling back in my fingers enough to type up a quick re-cap of today’s very windy and very cold half marathon. I signed up for this race as a ‘tune-up’ race for the Edinburgh Marathon at the end of May. I thought it would be good to run in a large race (the Reading half has 17,000 runners) before Edinburgh (which has 30,000 runners), as the last few races I’ve done have been pretty small. 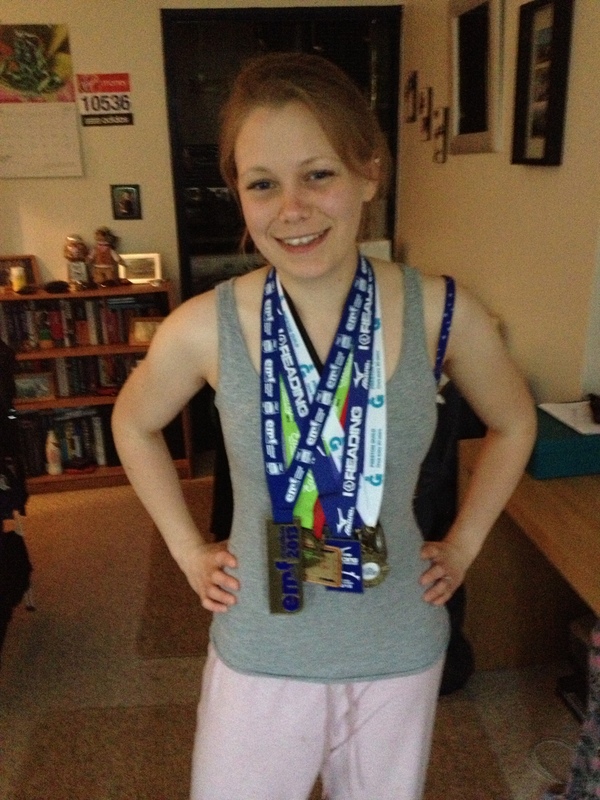 My best friend, and Berlin marathon 2012 finisher, Rach, had also decided to sign up and keep me company. 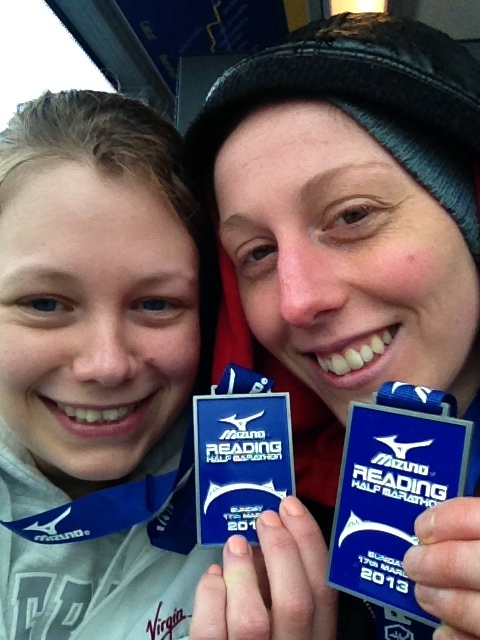 I wasn’t planning on going for a PB (my HM PB is 1:54:18 set at the Preston half in October 2012), but Rach was hoping to go sub-2:00 for the first time. After a step-back week in training and a couple of days of rest my legs were feeling pretty fresh this morning. We were up bright and early on en route to the race with our boyfriends in tow by 7:30am. The race started nearby to, and finished in, the Madejski Stadium, meaning lots of toilets and somewhere to shelter from the drizzle. 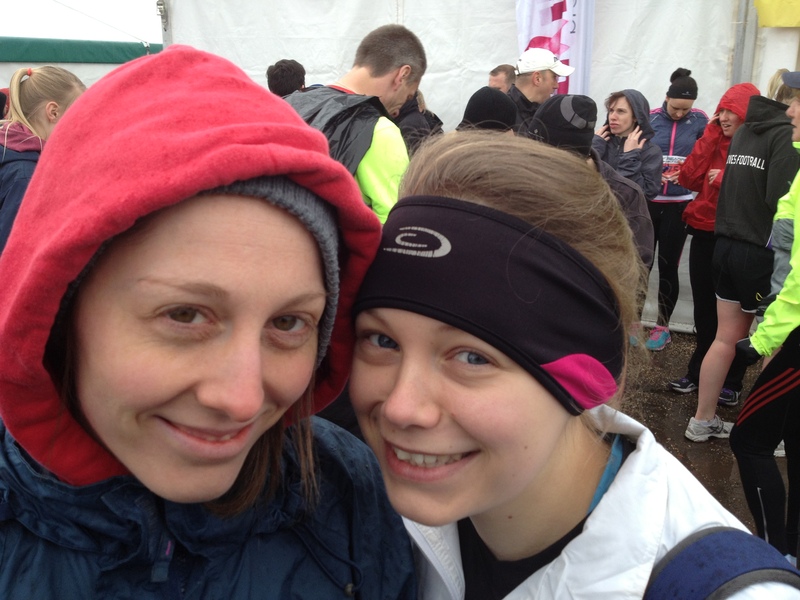 By the time we’d made our way to the race village and dropped off our bags it was really chucking it down. Luckily we’d both grabbed bin bags, the poor runner’s poncho. The kit drop tent was quite chaotic with runners and spectators attempting to shelter from the rain. After a couple of toilet breaks (portaloos were plentiful, well done Reading!) we made our way to the start area, which wasn’t brilliantly signposted. After finding the blue start we thankfully didn’t have to wait too long until we were on the move. The plan was to run steady 9:00 minute miles all the way around to come in around 1:58. What immediately struck me when we got underway was the sheer volume of runners – I’d forgotten what it was like to run a bigger race. I’m used to weaving my way around people while I’m running – I live in London after all – but when two of you are trying to stick together it becomes a lot more difficult. However, after running together for several years, Rach and I are pretty telepathic when it comes to runner-dodging manoeuvres. We settled into a nice even pace after the first congested mile, and chatted our way around the first 10k. The route was pretty un-scenic, as many town/city half marathons are. Crowd support was great considering it was such a miserable day, and the water stops were plentiful. In fact, I’d just like to rave about the water… instead of bottles the water was in plastic squeezy pouches, meaning that there was no risk of tripping over bottles, and the pouches were really easy to carry. Just as I was beginning to think that we were fortunate the rain had eased off it began to ease back on again. It was freezing and we were soaked to the bone. Miles 7, 8 and 9 were pretty grim, especially when big hailstones started bombarding us. Rach was tripped by a man in a Paddy’s Day morph-suit, but managed to stay on her feet. From this point onwards it was all about gritting our teeth and getting on with it. 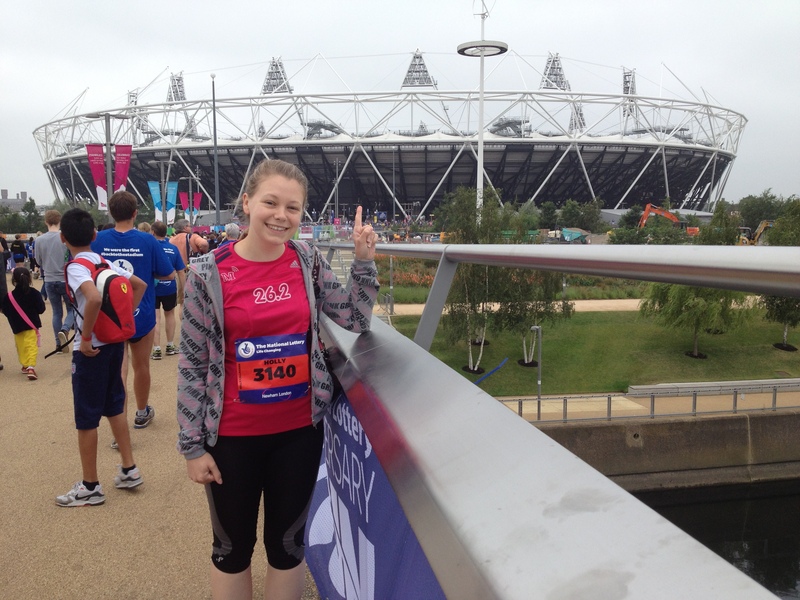 Seeing the mile 10 marker came as a big relief – only 5k to go! The final stretch of the race was along a dual carriageway, crowd support was somewhat sparse, and although we could see the stadium up ahead it never seemed to get any closer. Close to mile 12 we turned off down a short out-and-back with lots of drummers and music to cheer us on. We were nearly there and Rach was kept staring at her watch like it was about to tell her the meaning of life. Eventually we turned into the stadium and the finish line was in sight! Finishing in the stadium was great, with loads of supporters cheering in the stands. I felt like an Olympian or something! A sprint to the finish and we were finished in 1:57:40 (chip time). We were funnelled out of the stadium to receive our foil blankets, medals and goody bags, then wandered round to the race village to pick up our bags, containing our nice dry clothes. For possibly the first time in the history of the universe the queue for the women’s tent was non-existant, while the men had to queue out of the door. We gratefully received our bags, before sadly realising they were absolutely soaked through – our nice, dry, warm post-race clothes were just as wet as our kit. Shivering, we made our way to get changed in the stadium. All in all, I think the organisers did a good job with the race, but when you’re freezing cold, shaking and soaked, all the tiny mistakes, such as wet bags and a huge queue for the shuttle buses back into town, can really get you down. On a sunny day there would have been no problems, but my overriding memory of Reading will be of being extremely cold and uncomfortable, and for that reason I probably won’t do it again. I’m so pleased with how the race went for us – Rach got her sub-2:00 and a new PB, and I proved to myself that I’m right where I want to be at this point in the marathon training. After getting the bus back to down we chowed down on some delicious burgers with some friends who had also run, and began to get the feeling back in our toes.